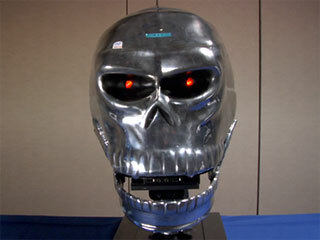 Gavin Rose, CEO of NS Optimum Ltd. in the UK talks about “Argon”, a PC shaped like a skull. This is their first venture into case making, and Rose explains the pain staking process for his entry in Intel Core 2 Challenge PC Design competition. It’s just as much sculpture as it is a PC.